We strive to work with every patient on a highly individualized basis to understand your needs and concerns and to make your experience as enjoyable as possible. Regardless of the procedure, our goal is to have you looking revitalized and refreshed. We want you to look as young as you feel. Over time, age and heredity can take a toll on the face causing the skin to lose its elasticity, wrinkles to appear, and a loss in volume in your facial features. This can leave us looking older than we are or feel and can make us look constantly tired. A facelift can help revitalize and rejuvenate the face making you look younger, and, unlike other anti-aging procedures, facelift provides the longest lasting results. Less invasive than a full facelift, a “mini” facelift is typically performed on those in their mid-thirties to early fifties who are beginning to show the signs of aging. 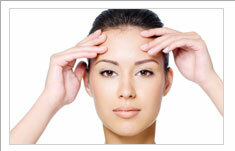 A “mini” facelift is also great for those who wish to re-tighten a facelift they have had years prior. “Mini” facelift tightens specific areas of your face to help eliminate years from your look, yielding a younger more revitalized you. Eyelid surgery, more formally called blepharoplasty, is one of the most popular cosmetic procedures among both men and women. As we age, our skin loses its elasticity. Commonly, loose skin will occur around the eyes, causing you to appear older and more tired than you actually are. Eyelid surgery removes this excess skin and fat around your eyes, revealing a more youthful, refreshed eye area. In addition to our eyelids, age can also have a huge impact on our brow. After years of constant wrinkling, our brow skin can lose elasticity and deeper, more permanent wrinkles can begin to form. A brow lift corrects this by tightening and lifting the brow skin that might have lost its elasticity, helping to eliminate wrinkles. A brow lift can revitalize and rejuvenate your look. As one of the world’s most commonly performed cosmetic procedures, Botox is one of the safest and most effective non-surgical ways at eliminating fine lines and wrinkles. Taking under 15 minutes to perform, many patients will receive Botox over their lunch hour then return to work with no side effects. The results from Botox take less than 2-5 days to appear and last 3-4, and sometimes up to 6 months. Dermal fillers allow you to restore volume to your face while helping to eliminate fine lines and wrinkles. Depending on the type of filler and how deeply it is injected, dermal fillers can help smooth out and fill in deep lines while creating facial structure. We aim to work with every one of our patients on an individualized basis to help choose the best filler that will help you to achieve your desired look. These modalities target skin texture, tone, clarity, tightness, pigmentation, fine wrinkling, scars, redness and other discolorations. Regardless of what your goal is, we will work with you to help you choose the procedure that is best suited for your goals.